Rooms from $107.96 per night. Description This Jekyll Island, Georgia hotel has an outdoor pool, non-smoking guest rooms and free breakfast. Right on the beach and featuring a heated outdoor pool a hot tub free breakfast and free Wi-Fi the Days Inn Jekyll Island Oceanfront Resort also has well-equipped rooms. The two-story hotel offers free Wi-Fi flat-panel TVs microwaves refrigerators and private balconies or patios in all of its 124 rooms. Suites with kitchenettes are also available. Guests can fuel up for an active day with the free continental breakfast and take care of last-minute work at the on-site business center next to the 24-hour front desk. The hotel has two oceanside outdoor pools one of them heated for year-round use in addition to a kiddie pool and a hot tub. Guests can cook out on the barbeque grills within view of the beach. The hotel is about 13 miles from I-95 and 12 miles from downtown Brunswick. Shops and restaurants cover the six-mile-long island. The Jekyll Island Tennis Center and the 63 holes at Jekyll Island Golf Course are each three miles away. Two miles away at the Georgia Sea Turtle Center guests can learn about sea turtle habitats and see how the center rehabilitates injured turtles. Jekyll Island State Park is less than two miles away. Jacksonville International Airport is approximately 65 miles away. 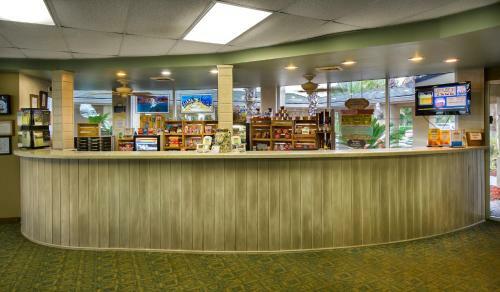 Add Days Inn & Suites By Wyndham Jekyll Island to your free online travel itinerary.